Summary : Based on a popular RPG of the same name. The story takes place in a fantasy medieval China that's full of kung fu action, CG special effects, and whacky humor. Li Xiao Yao, a "Stinky Punk", journeys to Dream Island to find a cure for his sick aunt. There he meets and marries the love of his life Ling'Er. On his way back home with the cure, he discovers that he's been tricked by the Lunar Sect Cult so that they can kidnap Ling'Er. He awakens in his bed, having forgotten his entire trip to Dream Island but having saved his aunt. He rescues Ling'Er from the Lunar Sect Cult and is in turn rescued by a mysterious stranger who teaches him kung fu. 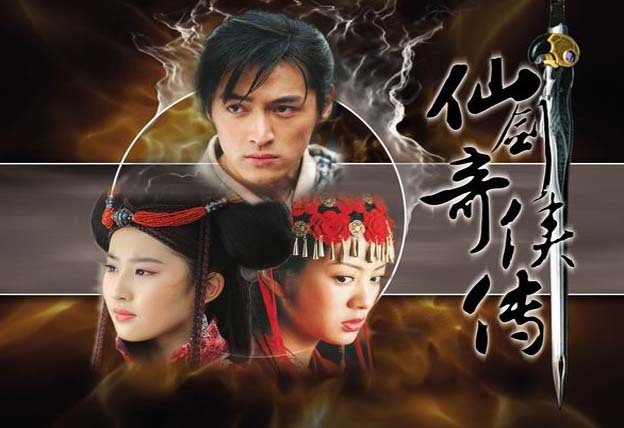 Xiao Yao and Ling'Er travel to the capital to meet her father. Along the way, they meet various people, get harassed by the Lunar Sect Cult, discover both of their histories, save the world and fall in love with each other all over again. It starts off sweet and light hearted but ends with plenty of tears.